Thomas Ogimaawaajiweb Fowler (St Croix Band of Ojibwe of Wisconsin) has lived on his reservation in Cumberland, Wisconsin his whole life. After witnessing the many parents losing their children and death on his reservation, he decided he wanted to bring change to his community. Thomas gave himself to the Creator and began focusing on issues affecting his community, such as violence against women and children, alcohol and drug addictions and mental illnesses. In his community he is known as ‘Indian Dad’ and as an important cultural leader. 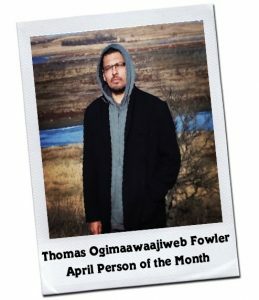 Thomas is also an artist and etches pipestone into opawaagans (pipes), takes part in the ceremonial drum and is fluent in Ojiwemowinn (his native language). Thomas is a proud father of four and emphasizes the need to teach Wellbriety to the youth! 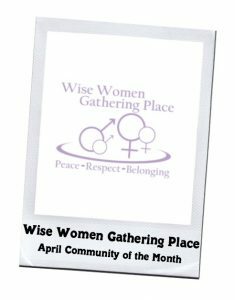 The Wise Women Gathering Place was founded in 1988 and is located in Green Bay, Wisconsin. This organization is committed to peace, respect, and belonging through skill building, sharing of resources, and caring support for our community. They provide access to resources and information about childbirth, alternative holistic health techniques and many other community programs and services. The Wise Women Gathering Place is a nonprofit organization, owned and operated by Native American midwifes and educators. The Wise Women Gathering Place offers several of White Bison’s programs, including Mending Broken Hearts, the Purpose of Life and Families of Tradition. They also offer many other programs and services, including Discovery Dating, ToP Facilitation, a Transitional Living program and Rock & Rest. One of their longest running programs is Discovery Dating. This program challenges individuals identify their own values, behavior patterns and goals to help them discover important information about themselves and those they have key relationships with. The Wise Women Gathering Place coordinates several groups for their community, including groups for women, men, sexual assault survivors, holistic wellness and students. The Wise Youth Groups for Middle School and High School students teaches leadership, community activism and relationship building and provides experience opportunities to practice these skills. In addition, the Wise Women Gathering Place coordinates a food pantry, community potlucks and other community building events to help bring peace, respect, and belonging to the Green Bay and surrounding areas.